Yellow-legged Gull (Larus michahelis) at centre at Quidi Vidi Lake on 19 January 2008. St. John's Dump on 20 January 2008. Left to right are Jan Doherty (Ontario), Willie D'Anna and Betsy Potter (New York State), Kevin McLaughlin (Ontario), Bruce Mactavish (Newfoundland) and Ron Pittaway (Ontario). 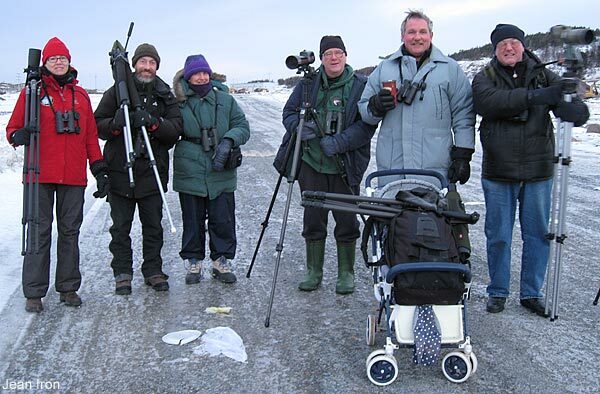 Bruce uses a "baby carriage" that he found and stores at the dump to transport his camera, scope and gulling essentials for the 1 km walk every Sunday into the dump. Thousands of gulls feed and rest at the dump. 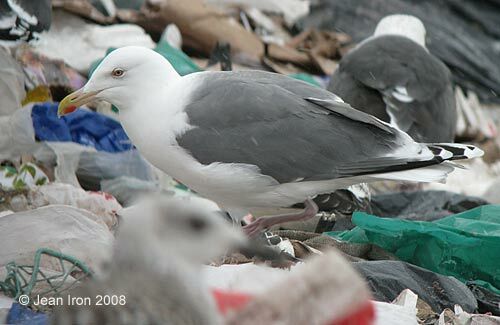 Slaty-backed Gull at St. John's Dump on 20 January 2008. One of two that we saw daily in St. John's. 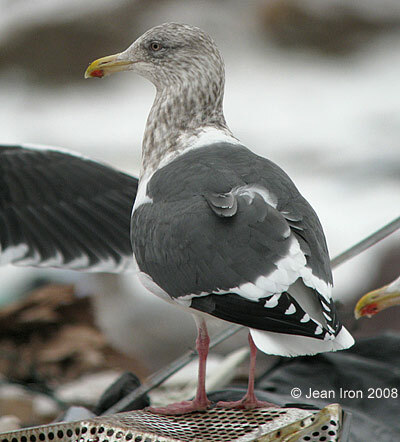 Slaty-backed Gull at St. John's Dump on 20 January 2008. Nelson's Gull on 20 January 2008. 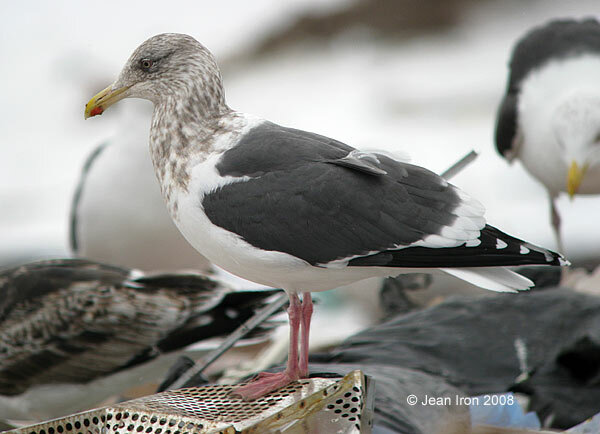 This hybrid between Herring and Glaucous Gull is frequent in St. John's in winter. Glaucous x Great Black-backed Gull hybrid on 20 January 2008. This hybrid combination is regular in Newfoundland. We saw three different individuals at the dump. 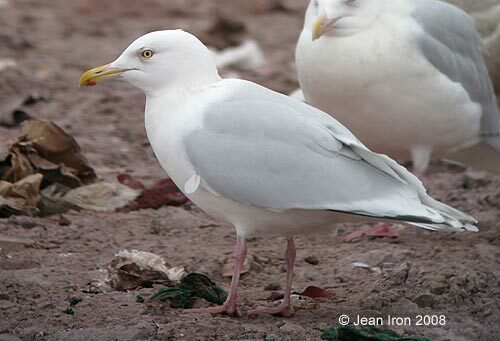 This hybrid combination may originate from the Coast of Labrador where Glaucous and Great Black-backed occur together. Large numbers of gulls visit Quidi Vidi Lake in St. John's after feeding at sea or at the dump.